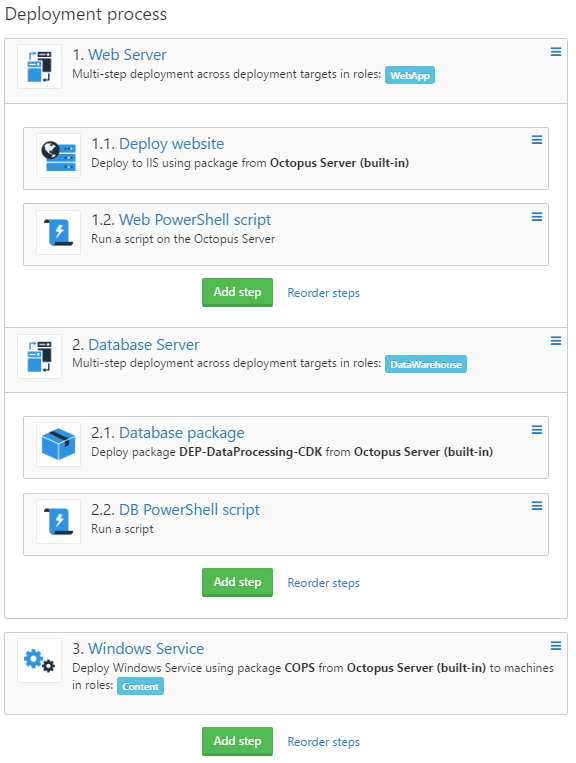 When I first got started with Octopus Deploy I would setup projects to have one long deploy process that ran steps in serial. Each step would wait until finished before another one would start. Deploy times got longer and longer, so I set out to find a way to cut down deploy times. If there are 2 or more process steps, there is an option in subsequent steps to “Run in parallel with previous steps”, however this is still limiting. This means only 2 steps can be running in parallel at a time. This will add a parent (Web Server, Database Server, etc). 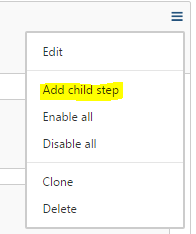 Create groups for each individual machine or role, then set the parent step’s start trigger to “Run in parallel with previous step”. The more groups you create, the more steps that will run in parallel.